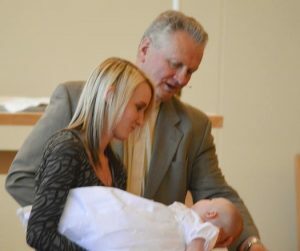 Baptism is one of the sacraments of the Lutheran Church that can be celebrated at any age. It is through Baptism that “we are first received into the Christian Community” (Luther’s Large Catechism), welcomed into the Lord’s family. In the water and words we are declared children of God, members of the church of Jesus Christ and God promises to be with us always. Through the nurture of the church community, the seed of faith planted through this sacrament grows into maturity. Classes offered on the second Saturday of each month at 10:00 a.m.
Our Saviour’s offers Baptism preparation classes for parents of infants and for older children, as well as for adults who have not yet been baptized in the Christian faith. Parents wanting to schedule their first Baptism at Our Saviour’s are offered this preparation class. Please register for this class by contacting Nancy Carpenter, ncarpenter@oursaviourslc.org or 763-434-6117 ext 121. If you are an adult or youth, contact the church office for specific instruction. No matter what age you are, we look forward to celebrating with you this most gracious and unconditional expression of God’s love!